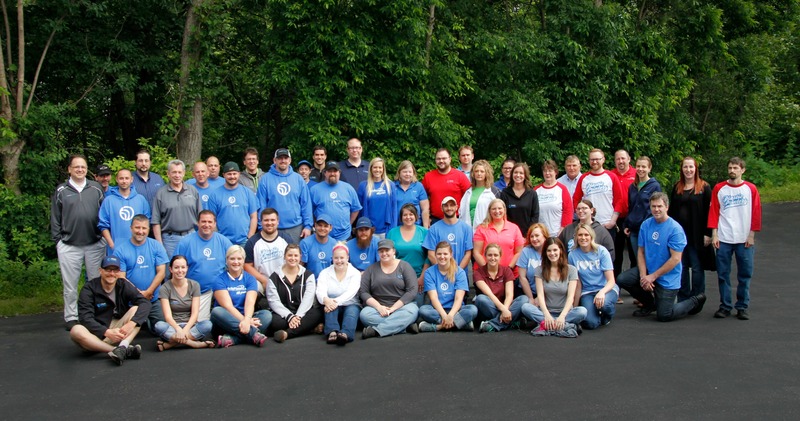 On May 17, we marked our 20th Anniversary at Plastic Printers. As we celebrate this milestone, we asked our founder and visionary Luke Lingle to reflect back on the last twenty years. You founded Plastic Printers in 1996, at the age of 19. What were your expectations back then? I thought if I started a business I would have no boss! I quickly realized my bosses were my customers – and that I had way more bosses than I’d ever had before. What I did know was that I could produce a product people would want. I rather naively expected the work to just show up. I didn’t understand how hard it was to convince someone to give you a chance. Being new to the business, and only 19 years old, trust was a very hard thing to earn. But, I just focused on meeting deadlines and producing the best product I possibly could. What were things like day-to-day back then? I was doing so many odd jobs related to the business that I was just happy to continue printing from my parent’s house for the foreseeable future. I was doing things like producing, sorting and filling the phone card machines at the airport for one of my clients, an all-day process twice a week. Meanwhile, I was selling material and used equipment to other printing facilities. All of this while I was still printing and selling at night. It wasn’t until about five years in that we were able to hire some employees and move into our own building. It was a tin shed in Hastings, Minnesota. I remember walking in and thinking how it just felt so right. Customer service has always been a priority for Plastic Printers. How did that begin? I learned early on that my main customer is the employee sitting next to me. If I take care of them, then they will in turn take care of our clients. While the products, processes and customers have changed over the years, we still believe in making the customer happy. When a customer is pleased, they’ll mention their experience to others. Plastic Printers now employs over 60 people. What have you learned about being both an employer and a leader? I believe in a fun and motivating workplace, not ruling with an iron fist. It’s my job to have the vision for the company, but I need our employees to embrace it and stand with me. Also, I’ve remained teachable! Listening to our employees is hugely important since they’re in the business day in and day out. Each of our employees, from reception to shipping, have something unique and valuable to offer. What have you learned about plastic printing? Has the industry evolved? I'm glad I made the decision to do plastic printing instead of paper! The projects our employees and customers create are absolutely amazing. I’ve learned how many uses there are for plastic and how many different people can use our products. When I started it was all phone cards, phone cards all day and all night long! I then started promoting business cards on white plastic. This took off more than I would have ever thought. Then gift cards starting catching on. Today, digital printing has really taken off and it’s really diversified our business, allowing us to provide so many products to our customers. Ten years ago we tried outsourcing some of our larger orders overseas, but I ultimately decided to invest our money within the company and bring all aspects of our production back in house. Not only was it important to me to provide jobs within our community, but we do much better work when we’re controlling the entire process. One trend that has been really nice to see is custom shapes on plastic cards. We’re actually the industry leader in this, and have produced over 1,000 unique, custom shapes. It’s pretty fun to see the creative designs our designers and customers come up with. Finally, where do you see Plastic Printers going in the next 20 years? My focus is the same as it’s always been, on what’s best for both our employees and our customers. I put myself third in the decision making process. I’ve never been focused on profits – if we’re focused on doing what’s right the profits will follow. We do need to keep evolving however, and that includes people and processes. We’re going to have to keep adapting to the new style of communication with the younger generations, too. We’re on social platforms like Facebook, Twitter and Pinterest, and have chat functionality available on our website. Still… I would rather simply talk on the phone working directly with our clients, personally. We will keep innovating new products useful to people & their businesses, and continue to provide consistent service along with the highest quality products we can. 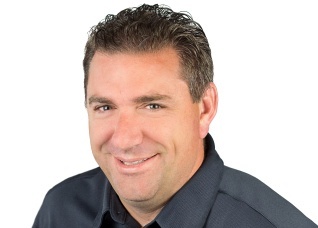 Luke Lingle founded Plastic Printers in 1996 out of his parents’ home. He now employs over 60 people in Hastings, Minnesota office. 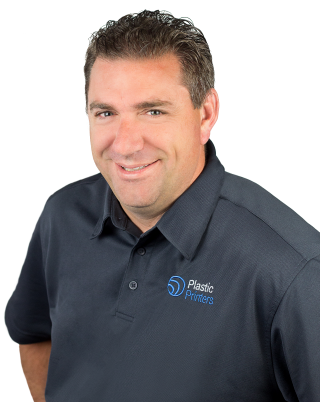 As an industry leader in plastic business cards and gift cards, Luke’s focus has always been to provide his customers quality products and excellent customer service.